Probationary Officers in Banks is the mostly chosen as well as prestigious and blossoming career option now a days. No need to mention that State Bank of India is the largest commercial Bank of India. Working under this bank will give you immense career growth. That's why lacs of aspirants sit for SBI PO exam every year. State Bank of India recruits thousands of probationary officers each year. It's becoming tough to crack the exam as the competition getting high. But proper and enthusiastic preparation can lead you to success easily. At this juncture, question might popping in mind, how to prepare for SBI PO exam? 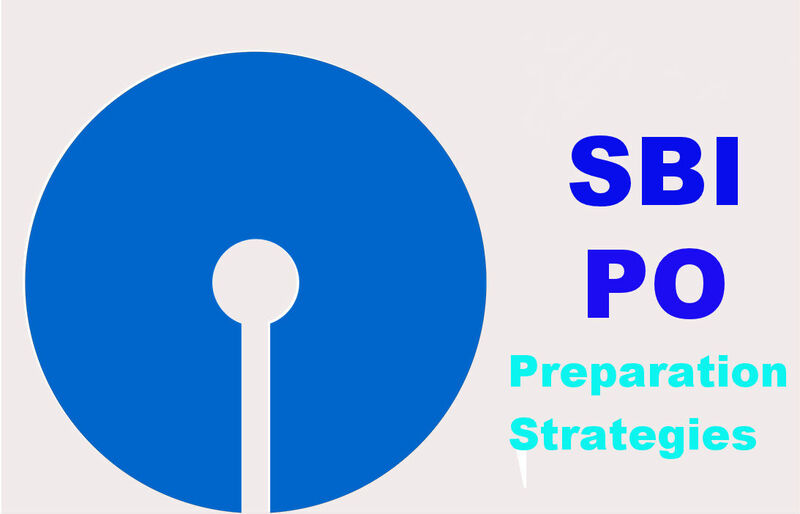 Here we have brought out for you some useful study tips and preparation strategies for SBI PO Examination. Main Examination will have two parts – Objective parts of 200 Marks and Descriptive parts of 50 Marks. Objective type questions includes from English, General Awareness, Marketing & Computers, Data Analysis & Interpretation and Reasoning (High Level). English section mainly measures your understanding level of the language, knowledge of English Grammar and the stock of vocabulary. To test your judgment and expertise you will be asked comprehensive type questions , allow you to re-arrange , to make meaningful sentence out of given phrases etc. For preparing the English section, first get a book of English Grammar & Composition . Go through the book to learn all the basic rules of Grammar. Increase your stocks of vocabulary. Strong vocabulary helps a lot in solving various types of questions. See the previous year question papers and practice as much as possible. Quantitative Aptitude section is for testing the knowledge of basic Mathematics. For this you need to have thorough knowledge of Mathematics of Class V to Class X. You can follow NCERT books of Mathematics and learn all the basic rules applied in each chapter. Understand them, apply them and solve problem by yourself. Remember the formulas and learn the way of applying it. At very first, do not go for shortcuts, try to solve conceptually. After understanding, learn the shortcuts. In the upcoming articles, we will be posting some best shortcuts and tricks, so keep an eye on our blog. The more you learn the shortcuts, the better for you because it act as a time saver. For solving Data Interpretation & Data Analysis problems, learn fully the concept of calculating the average, percentage, ratio and proportion. Spend some more time in this section practicing various problems. Because this section is time consuming. So sufficiently practicing will make you familiar with the types of problems and you will able to do it fast. Soon we will recommend some of the best books for preparing for SBI PO in the upcoming post from where you can get a clear idea of problems of this section. Reasoning is the capability of our mind to think logically a situation. It determines our best judgment ability, thinking ability and problem solving ability. You are asked to concentrate more on this section, because this section is comparatively easy and will help you in obtaining maximum marks. The more you try to solve this section, your brain's efficiency will increase. Further you will be able to catch things instantly. General Awareness section measures how much you are aware about the everyday happening around you. The best source to know about our daily happening are the Newspapers. So you may read a daily newspaper and keep an eye on the latest happening. You may get a note book and take notes all the latest happening in the banking, economy and corporate section. You are advised to follow an English daily newspaper only. It will help in many ways. For this section, you may also read a year book or competitive magazines to keep you updated. In such competitive examination, time management is the most crucial part. Continuous practice will help you in all aspect. Do try to solve previous year question papers. You may create a examination hall like environment so that you can boost your time management skill. Create a study table and start your preparation. If you have anything to say about this post, type it in the comment section, we will be glad to hear you. How are you preparing for the SBI PO? Anything you want to add beyond our coverage?